I was looking at my recent book sales and I was prompted to ask, “Does anybody read anymore? Hyperbole? Yes, of course but I simply have to gin up a few more book sales. So, here’s the pitch. Currently, I have seven books available on www.amazon.com. Here they are. All cost $3.99. Please buy at least one today and make yourself (and me) happy. Thank you very much! 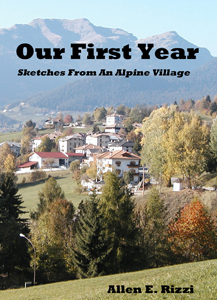 Our First Year – Sketches From An Alpine Village – Our First Year – Sketches From An Alpine Village is the true story of an American couple’s first year living abroad in northern Italy. Told through short, often humorous sketches, this book introduces the reader to life in Italy’s South Tirol region through the eyes of newly arrived American residents. Centered in the small alpine village of Tret, the people, language, and customs here come to life through a personal narrative of everyday living. Our First Year – Sketches From An Alpine Village will provide laughs and tears for both American and European readers alike! The Horse Whisperers from Anaconda – The Horse Whisperers from Anaconda chronicles the lives of horse whisperer brothers Lee and Edd Allen. Born in Pike County, Missouri and raised in Anaconda, Montana, the two became admired in their youth as they followed the teachings and traditions of their family and Blackfoot Indian friends to help build the American West. 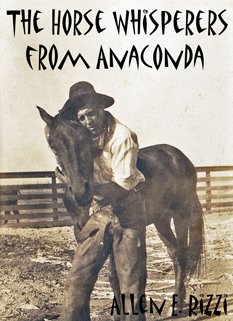 Richly illustrated with antique photographs, this novella explores the art of horse whispering as applied to everyday life and the grit that polished America into the gem it is today. In The Shadow of Saint Stephen – With beautiful photos, In The Shadow of Saint Stephen gives the reader a window into the past of the tiny village of Cloz, located in Italy’s northern Trento province. History is brought back to life through an examination of the antique cemetery located along side of the Saint Stephen’s church. 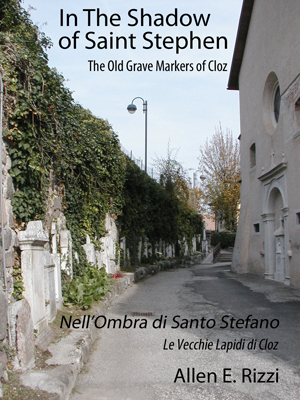 Richly detailed and informative, this book delves into the history, restoration and preservation of one of Northern Italy’s most historic cemeteries. Originally written in Italian, this new text has been translated into English for English speaking scholars, genealogists and readers with ancestors from the village of Cloz. The flowing waters of the American West will carry you through a half century of living, as told by a simple fisherman. The Blackest of Canyons will make you laugh, cry and take stock of your own life. The Blackest of Canyons will bring you full circle! 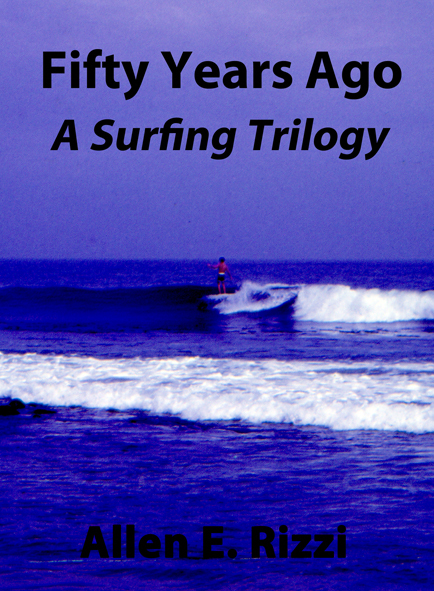 Fifty Years Ago – A Surfing Trilogy – The 1960s Southern California surfing scene is explored through three short stories. Published on the 50th anniversary of the founding of the Rising Sons Surf Club, this text includes many old photographs from 1963 to 1966. Fifty years later, the spirit is still alive! 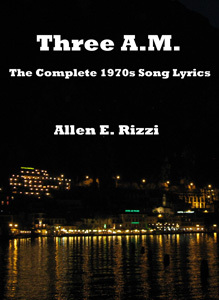 Three A.M. – The Complete 1970s Song Lyrics – Three A.M. is the definitive lyric anthology for the songs of Allen E. Rizzi. This collection contains 81 song lyrics written between 1974 and 1980, including many not previously released to the public. All song lyrics are accompanied with back scenes that comment on the songs’ origins, performance histories and other interesting facts. Forty years on, these lyrics are a blueprint of a 1970s songwriter craft. 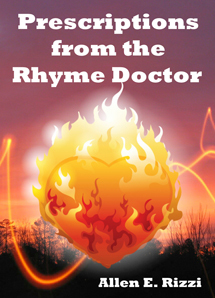 Prescriptions from the Rhyme Doctor – The rhyme doctor has finally compiled a short collection of some of his poetry that resides outside the bounds of song lyrics. 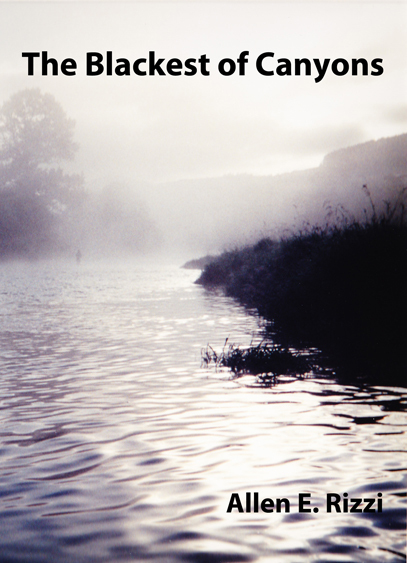 These simple poems span a period of nearly 50 years and are presented here in a short anthology. The 89 poems are divided into two simple phases of life: The Young Man – Years of Hope and The Old Man – Years of Judgment. These phases serve as bookends to years of successful song writing. The first set of poems is the stuff of the turbulent 1960s. The second set can be seen as an epilogue of sorts, commenting on what has become important after 50 years as a writer.